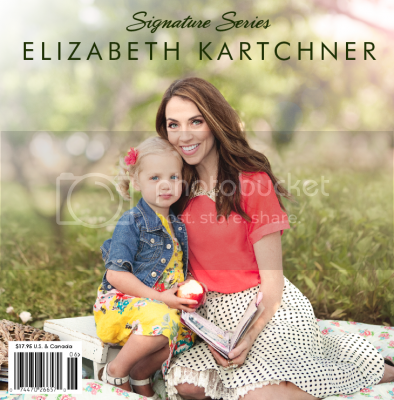 I have a layout in the "Elizabeth & Friends" section of the brand new Signature Series: Elizabeth Kartchner book! Journaling says: I didn't think it was possible to love something so much, but being your mother has taught me more than I can explain. You are my light and my life - I'd do anything for you and I'll always love you no matter what! You are my favorite thing! How to: Die cut a chevron background from cardstock, set it over a cream patterned paper background, spray over it with mist, then remove the mask. Cut pieces of super strong tape into little bits and set them in three chevrons across the top of the layout. 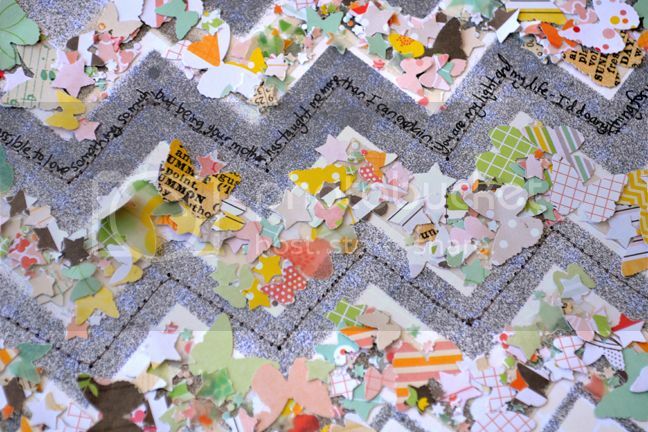 Punch heart and star confetti from patterned paper and sprinkle it onto the tape. Stitch around the layout and between the stripes using gray thread then write journaling on the top line of stitching. Make a title, add photos, and embellish with pearls and a wooden button as shown. *sigh* this is absolutely GORGEOUS!! WOW!! I am in LOVE with the photos, the chevrons across the page and love love loveeeeeeeeeeeee the way you added all the bits on there!! Totally pinning this!! Congrats on being in her awesome book!! this is SO much fun to look at! GREAT page--TOTALLY amazing! 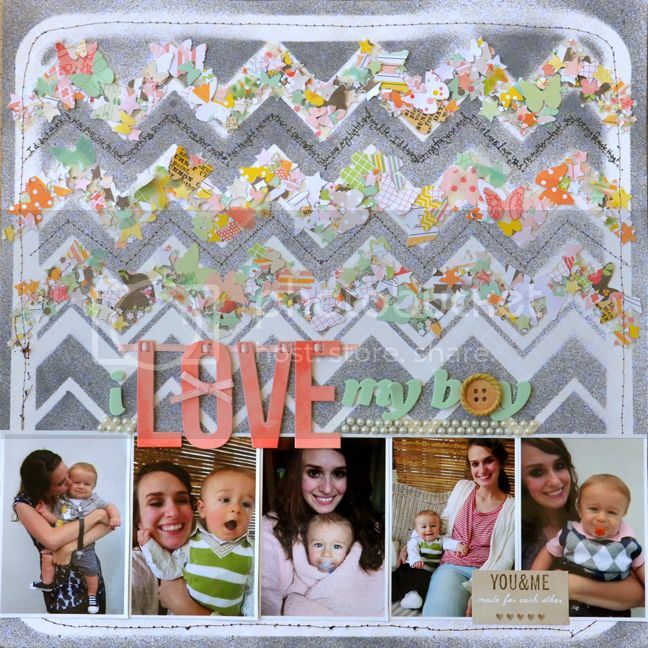 sooooo LOVE LOVE that page and all the fun goodies on the chevron strips!!! that is sooo freakin clever I love it!!!! This is one of my favorite pages ever!